An Ocarina Built Into Your iPhone | OhGizmo! By Chris Scott Barr on 11/10/08 • Leave a comment! Last week we mentioned where you could pick up an ocarina, well now you can have one on your iPhone. Just download the app and you can create all of your favorite Zelda songs directly on your iPhone. 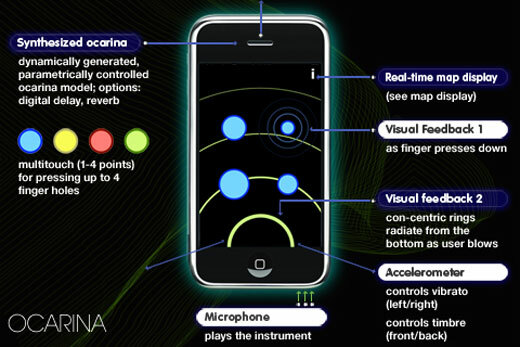 The app combines touch, tilt, gestures and your breath to create the music emitted from it. If you’re feeling creative you can create your own tunes and share them with others that have downloaded the ocarina. You can pick up the app at the iTunes App Store for 99 cents. Which is far cheaper than the $20-$300 ocarinas.